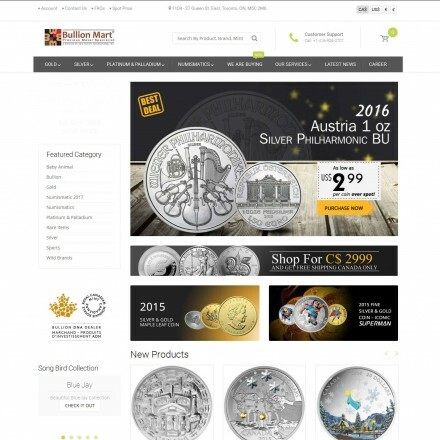 We aim to list all precious metals dealers or coin (numismatic) dealers across Canada. 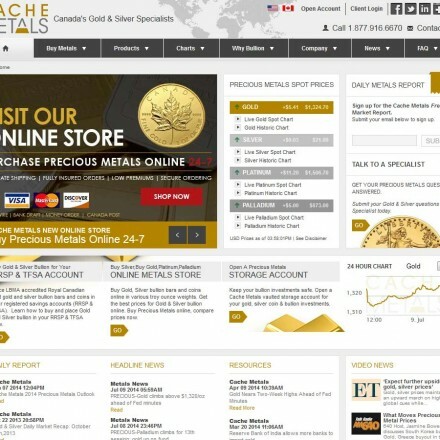 Canadian bullion dealers are listed nationally and by both Province and any services offered meaning you can set search results to only show results you’re looking for, ie Coin Dealers in Alberta or Scrap Gold Buyers in Ontario – with detailed listings based on consumer rating scores and reviews. 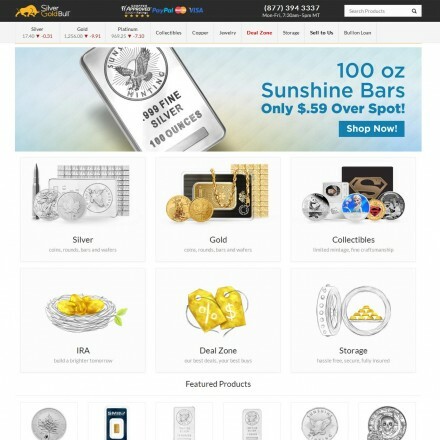 Whether you’re building an investment portfolio, a collector of numismatic coins or looking to diversify your RRSP into precious metals – finding trusted precious metals dealers locally, provincially or nationally takes just a few clicks. 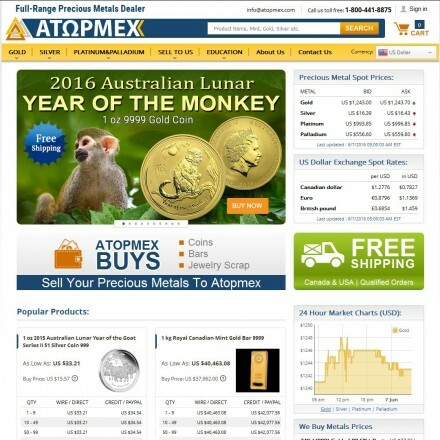 Looking for the Best Gold Dealers in Canada? Our annual Bullion Dealer of the Year public vote typically sees over 30,000 votes cast globally – with the Canadian Bullion Dealer category enjoying high voting turnouts. 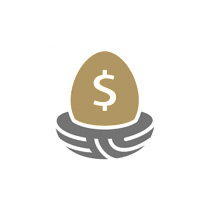 Gold RRSPs and TFSAs are hugely popular precious metals investment vehicles due to favourable tax treatment on the purchase of qualifying metals within a Canadian retirement account. We list all specialist Gold RRSP providers alongside consumer reviews, helping you make the right decisions for your retirement planning. 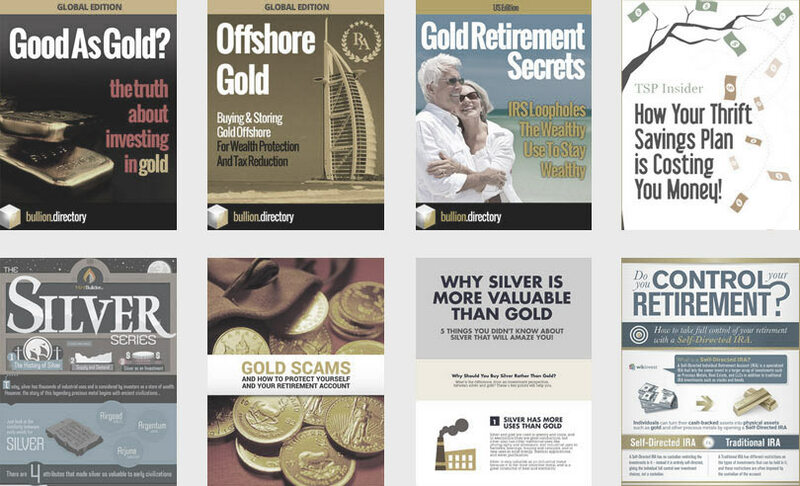 With independently rated listings, free retirement planning guides, retirement planning news and expert how-to articles, Bullion.Directory can aid your search for gold retirement products that are most suited to your future needs and levels of risk tolerance. 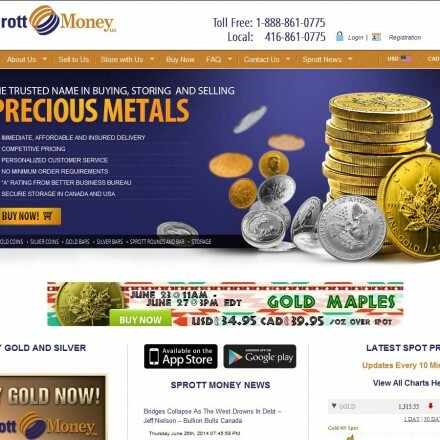 Where most Canadian Gold Dealers will buy scrap gold, we list a number of trusted “Cash For Gold” specialists alongside detailed consumer reviews. Canadian bullion dealers are our 3rd most highly searched bullion dealer category after the USA and UK, listing 109 Canadian precious metals and coin dealers (as of April 2018) with Ontario offering the greatest number of gold dealers (37) out of all Canadian provinces. The majority of Canada’s national bullion dealers and international bullion dealers are also based in Toronto, Ontario – which is hardy surprising considering Toronto’s status as a global trade and banking hub, but other provinces, notably Alberta and British Coumbia are home to a significant portion of Canada’s bullion dealers. Buying gold bullion as an investment is growing in popularity across Canada given worries about another housing bubble – particularly in Toronto. Other concerns driving Canadians to use gold’s excellent hedging properties include a further stock market and financial crash, sometime anti-Canadian rhetoric from Trump’s America, and what looks to be growing instability in the Middle East, Russia and China. 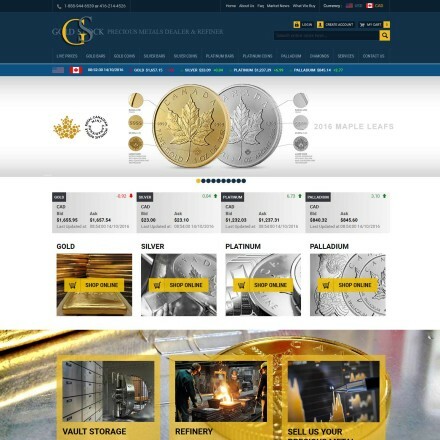 Canada’s long history with gold is ingrained in many Canadian minds as “real” money and anxious to protect retirement accounts against a further predicted global financial crisis (in a tax-friendly environment), the Gold RRSP is also seeing a sudden influx in new account opening. 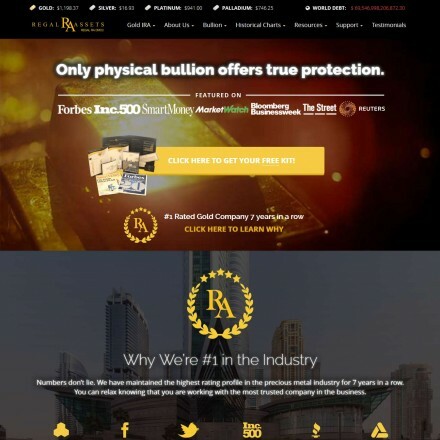 Most national and local bullion dealers in Canada have a web presence with the larger dealers operating e-commerce platforms carrying a good stock of popular investment gold. Canada is also home to a generous number of numismatic / coin dealers and private mints – as well as of course gold and silver mining operations. High levels of bullion sales in Canada do not reflect the Canadian state’s actual ownership of gold. Canada’s once sizeable holdings of gold bullion were down to 38.7 tonnes in 2000, 3.4 tonnes in 2003 before being sold of entirely in 2016 – a move running very contrarily to Russia, China and a number of other countries who have been buying heavily since 2000. 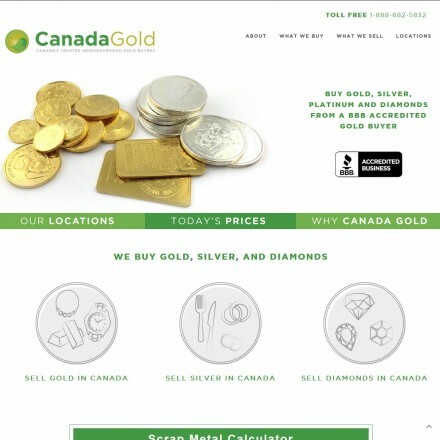 Nearly all Canadian bullion dealers buy bullion bars and coins, with many also trading in numismatics and scrap gold. Prices paid can vary significantly from dealer to dealer with some offering 40%+ less than others so it pays to seek at least 3 valuations before selling your gold. Cities enjoying high concentrations of bullion dealers such as Toronto should see the most competitive prices paid – and always remember that a fancy showroom is paid for by high spreads between buy and sell prices. 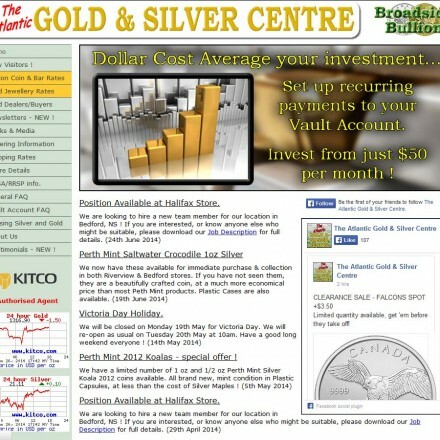 Read online reviews – Bullion.Directory features a review section for each of our listed Canadian gold dealers. 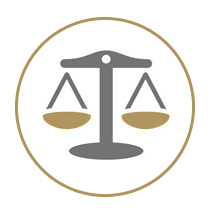 Also enquire with your local chapter of the Canadian BBB if there have been any complaints or issues regarding a company you’d like to deal with. 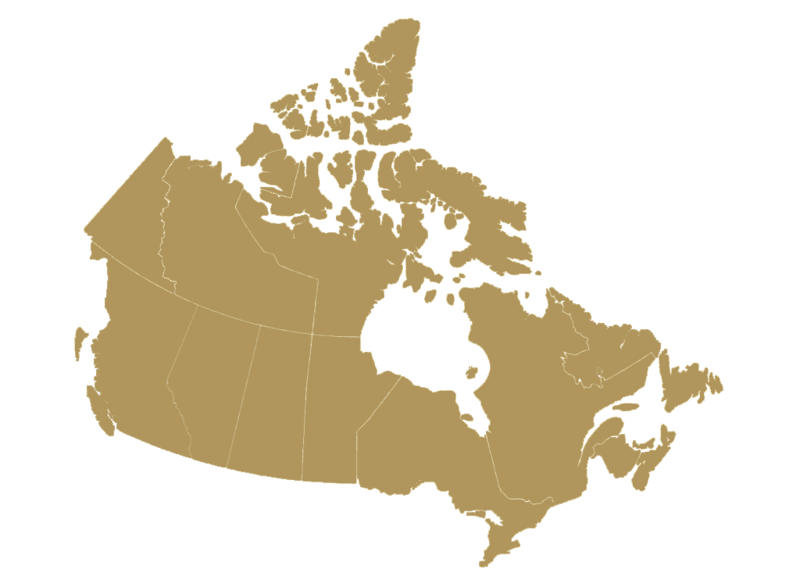 The tax situation on Canadian bullion is clear cut – for high-purity gold or silver bullion, there is no sales tax to pay in any of the Canadian provinces, making Canada a very bullion-friendly jurisdiction. In relation to sales tax precious metals are defined as bars, ingots, coins or wafers of gold, silver or platinum, refined to a minimum purity of 99.50% for gold and platinum, or 99.9% for silver. Gold, silver and platinum products of these purities and above are exempt from HST/GST. Note that palladium products ARE subject to HST/GST. Many countries offer special tax incentives when adding bullion to retirement accounts and the Canada is no exception. From 2005, the Canadian Revenue Agency started allowing Canadian retirement account holders to invest in investment-grade precious metal bullion bars and coins. As with HST/GST exemptions, there are strict rules governing metals able to be held in an RRSP or TFSA – and for a retirement account rules also apply to the buying and storage process. Bullion must be at least 99.5% pure (995 fine) and be produced at an accredited refinery. It must also be bought directly from a refiner, producer or regulated financial institution. Finally precious metals in an RRSP or TFSA should have intrinsic value only, derived from the weight of precious metal in the coin or bar. This rules out the purchase of collectable or numismatic coins in a Canadian retirement account. IMPORTANT: The above tax details are listed for information purposes only and are believed correct at time of publication. Bullion.Directory are not tax experts. All enquiries about Canadian taxes should be addressed to the appropriate body. Taxes and taxation are subject to change.